Long sleeve rayon-blend jacquard cardigan in black and orange. Spread collar. Button closure at front. 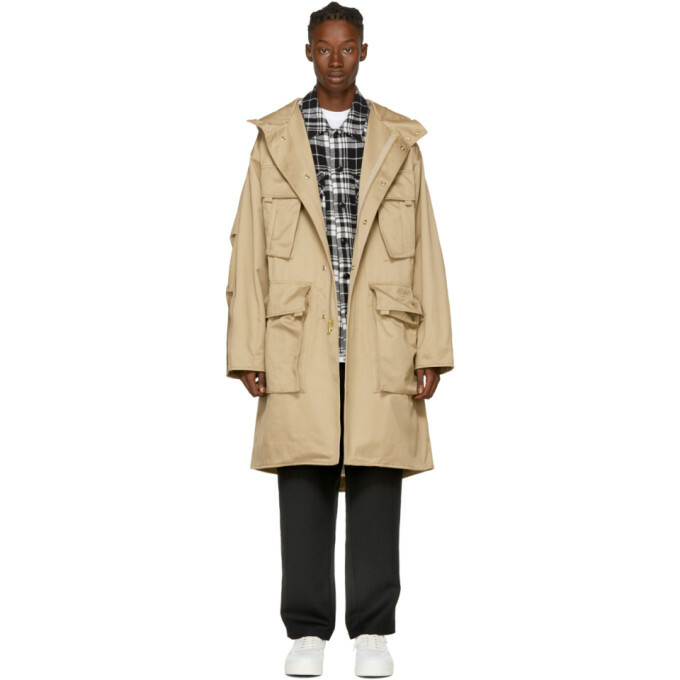 Flap pockets at chest. Rib knit cuffs and hem. Adjustable button tabs at back hem. Gold-tone hardware. Tonal stitching. 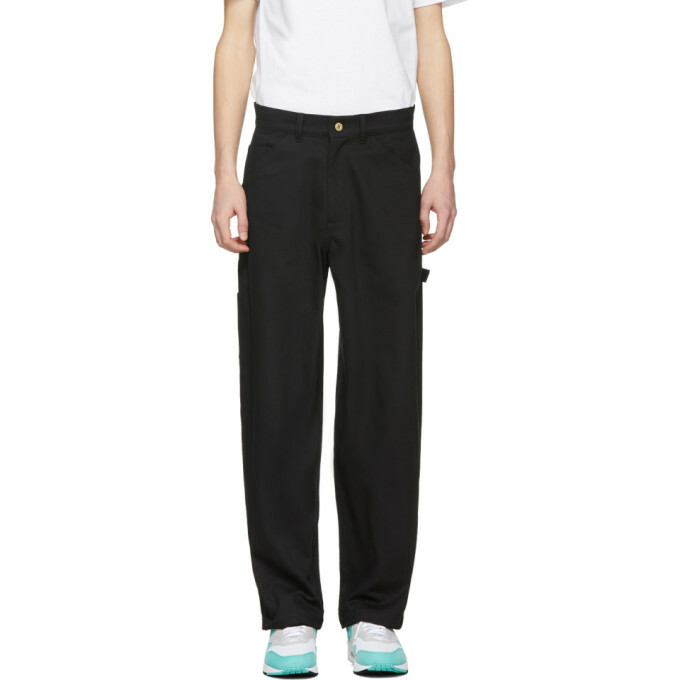 Relaxed-fit cotton twill trousers in black. Mid-rise. Five-pocket styling. Hammer loop and utility pockets at back legs. Zip-fly. Gold-tone hardware. Tonal stitching. Relaxed-fit cotton pants in black. Mid-rise. Two-pocket styling. Drawstring in black at elasticized waistband. 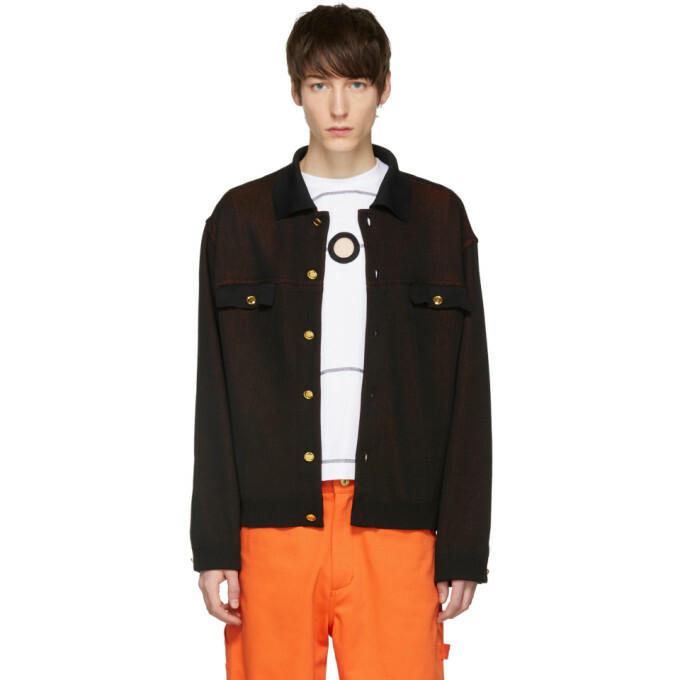 Zippered vents and press-stud fastening at partially elasticized ankle cuffs. Gold-tone hardware. Tonal stitching. 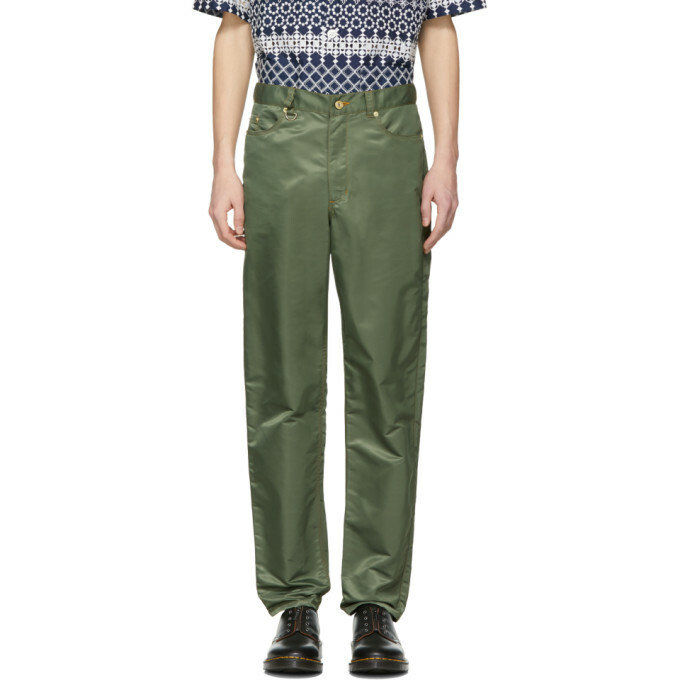 Slim-fit nylon trousers in green. Mid-rise. Five-pocket styling. Zip-fly. Gold-tone Hardware. Contrast stitching in tan. 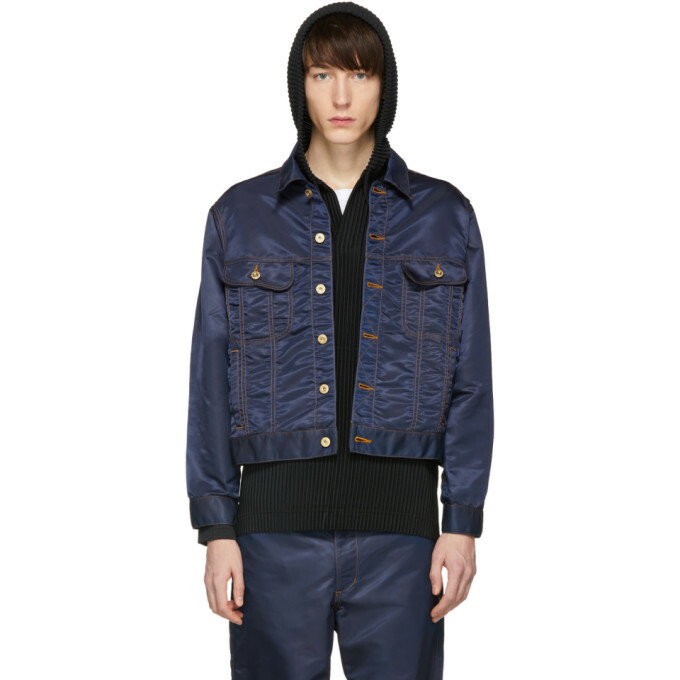 Long sleeve nylon jacket in navy. Spread collar. Button closure at front. Flap pockets at chest. 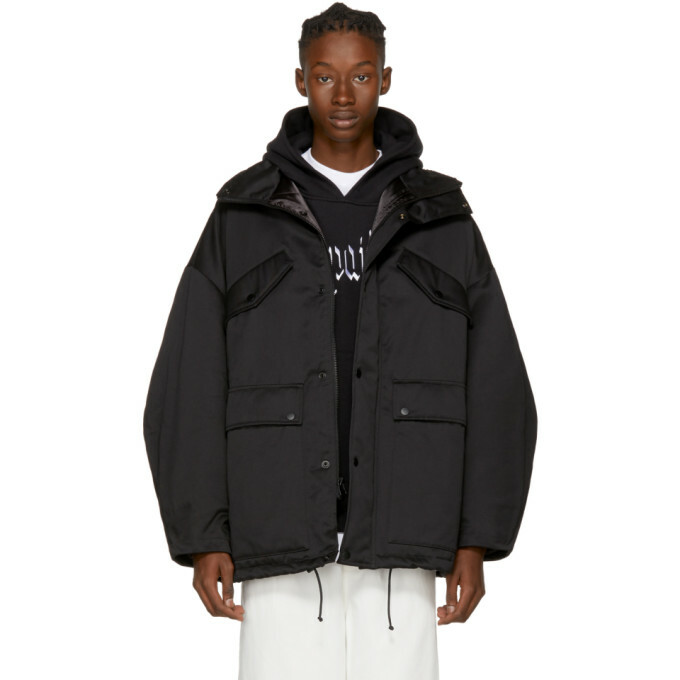 Welt pockets at waist. Adjustable buttoned tab at back hem. Single-button fastening at cuffs. Gold-tone hardware. Contrast stitching in tan. 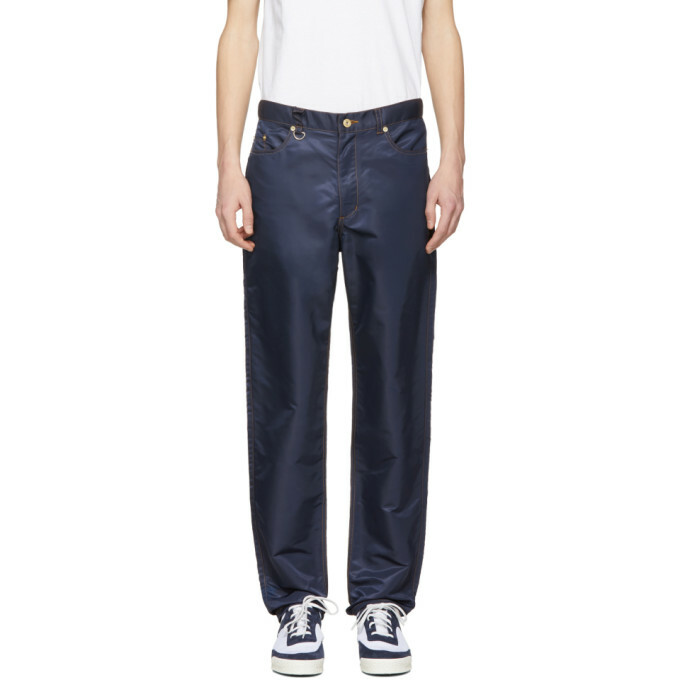 Slim-fit nylon trousers in navy. Mid-rise. Five-pocket styling. Zip-fly. Gold-tone Hardware. Contrast stitching in tan. 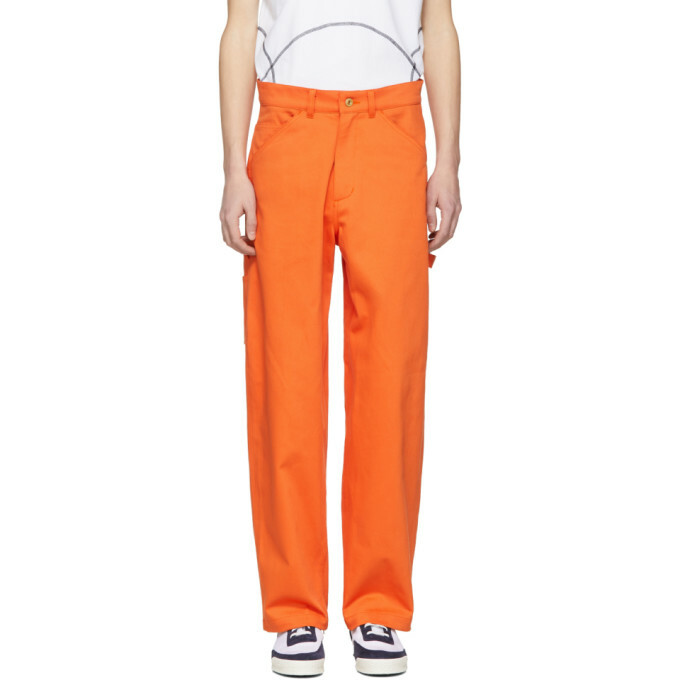 Relaxed-fit cotton twill trousers in orange. Mid-rise. Five-pocket styling. Hammer loop and utility pockets at back legs. Zip-fly. Gold-tone hardware. Tonal stitching. 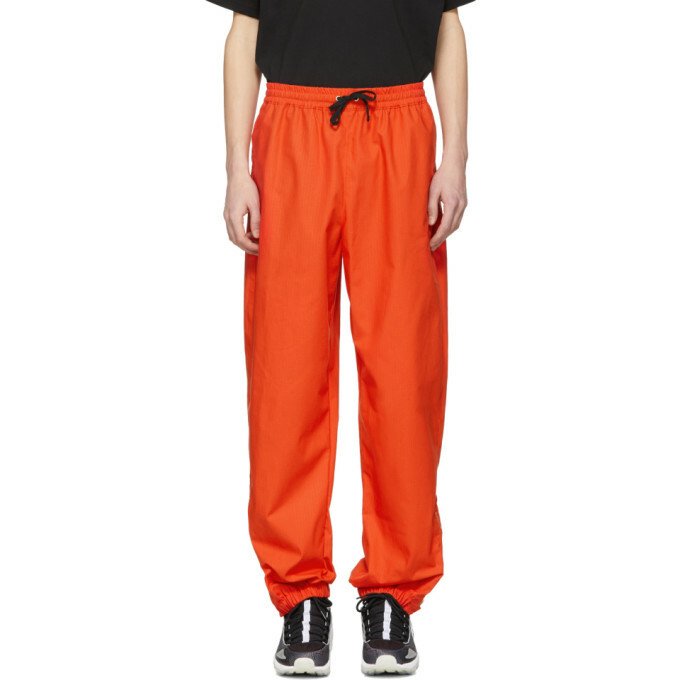 Relaxed-fit cotton pants in orange. Mid-rise. Two-pocket styling. 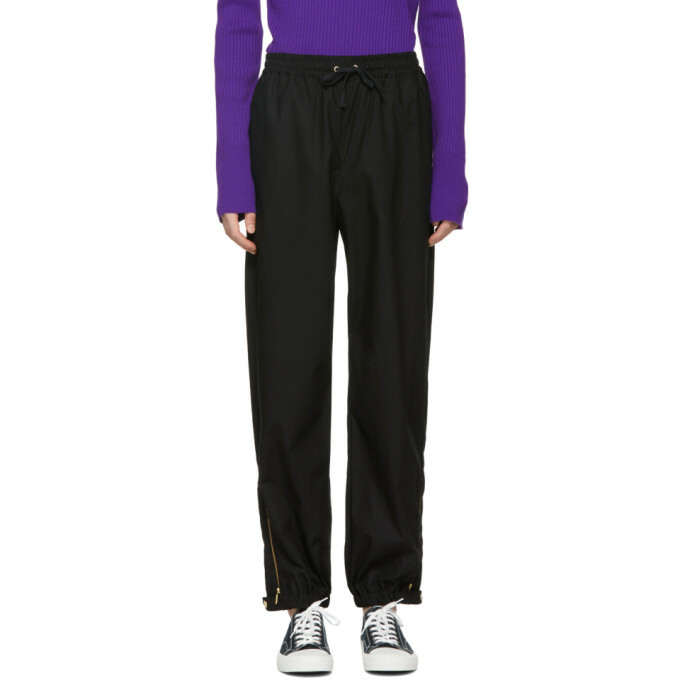 Drawstring in black at elasticized waistband. Zippered vents and press-stud fastening at partially elasticized ankle cuffs. Gold-tone hardware. Tonal stitching.